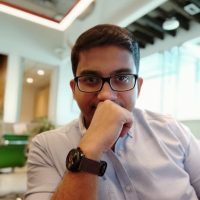 Tushar Banerjee is head of product at The Quint. Banerjee, Tushar. "Interactive ads will be the new face of display advertising." Nieman Journalism Lab. Nieman Foundation for Journalism at Harvard, 12 Dec. 2018. Web. 19 Apr. 2019. Banerjee, Tushar. "Interactive ads will be the new face of display advertising." Nieman Journalism Lab. Last modified December 12, 2018. Accessed April 19, 2019. https://www.niemanlab.org/2018/12/interactive-ads-will-be-the-new-face-of-display-advertising/.